Job descriptions are never fixed, they evolve over time and with the people who occupy these positions. So to be as close as possible to the different missions for which we recruit at PayFit, we are launching a series of interviews to share with you the daily life of each employee. How do SDRs work, what is the role of Payroll Experts, what does our Legal Advisor do on a daily basis? 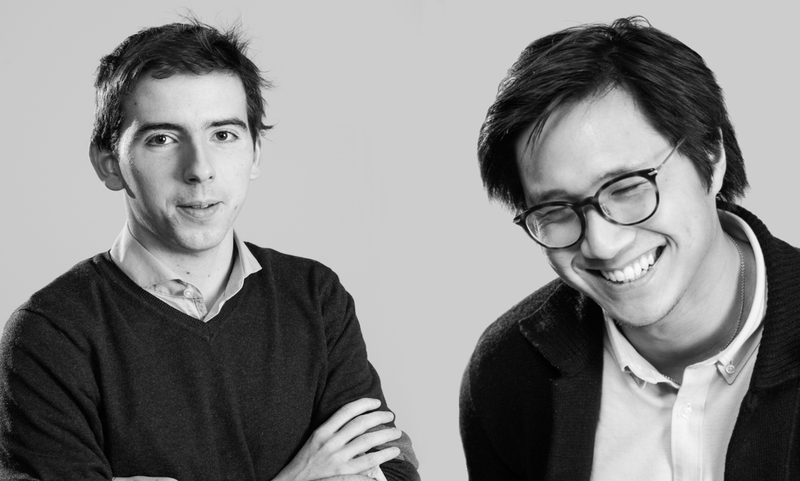 François-Xavier Paradis and Nam Nguyen tell us about their work as Product Builders France at PayFit. What is your role at PayFit? What does the Product Builder position consist in? FX : a Product Builder (which we also call JetLang Master at PayFit) is in charge of building the different features available in the app. The JetLang is the programming language that was created by PayFit. To make it simple, our mission is to translate the labour and tax rules into a logical language, the JetLang. The advantage is that our language allows developers to unburden themselves of business logic, i.e. everything related to the world of payroll and labour law, to enable them to respond to purely technical issues. Whilst developers focus on missions related to display, performance, etc., Product Builders implement all the payroll and social reporting functionalities. To put it more concretely, if we talk about tax and National Insurance contributions to a developer and ask him how it works on PayFit, they may not be able to answer. The developers will build the tools that JetLang Masters use to address these payroll issues. Product Manager because we must constantly keep in mind the path of each user in order to be able to build an ultra-intuitive, clear and organised product. Payroll Expert because we are able to exchange with them on technical issues to improve the product and best meet the needs of our customers. What are your main missions and how is the work organised within the JetLang team? ⇒ interact with the technical team on the development of new features on the JetLang side. Nam : There are now different teams (squads) in France working on different key topics. This operation is quite recent given that the team has grown well: in 6 months, we went from 4 to 11, we had to get organised! What was your background before joining PayFit? FX : After a preparatory class, I entered an engineering school in France. But I didn’t know yet where I wanted to go next. So I spent a year in the industry, which made me realise that it was not something I liked, particularly because of the cumbersome processes and decision-making. The start-up experience that followed was a real trigger for me, so I tried the entrepreneurial experience, which was not conclusive. Then I joined PayFit. Nam : Like François-Xavier, after a preparatory class in mathematics, I joined an engineering school in public works, so nothing to do with code. This is perhaps the best way to become a Product Builder for a simple reason: it is an extremely technical profession that requires a great appetite for logic. You have to be able to understand things all the time and be very rigorous. After my time in engineering school, I tried to launch a start-up before doing a Master in Design Thinking (a program based on UX), then joined the PayFit adventure in September 2017. How did your first months and Product Builder training at PayFit go? FX : I was very quickly put into action because I arrived at the beginning of January, a pivotal month in the world of French payroll. The first few weeks were quite intense as I had to train in two things simultaneously: labour & tax rules and JetLang. I had to understand how to manipulate this language but also acquire a more theoretical knowledge of payroll. The objective is to be operational in 3–4 months: to understand the logic of the language and the problems to which our solution answers in order to be able to code a functionality in perfect autonomy. At the very beginning, we have a “JetLang Bible” which is a true summary of everything you need to know before you start. For the pay part, we work with “Le Petit Paie”, a book that allows us to have the basics. In addition to this theoretical part, there is a practical part and during three weeks, we have a series of various exercises that are more and more difficult to carry out. The goal is to become true specialists. Nam : The first few months are usually very intense as you have to try to take ownership of the JetLang while always going further in understanding payroll topics. It really is a job that can be learned in the field: we assimilate all the knowledge as we code. At the end of the three weeks of training, the Product Builders in training begin to create small functionalities in a test environment. In this way, they improve their skills in particular aspects of payroll and declarations. The idea is that everyone has a global vision on the product, on what is feasible on PayFit and that they are 100% operational at the end of these 4 months. FX : Being on all fronts and working with almost all the teams really makes us feel at the heart of the machine, and it’s really motivating. Nam : At PayFit, we have this ambition to do things right and always go in the same direction. We make ultra scalable choices, all together, so that we can develop more quickly and broaden the scope of possibilities. 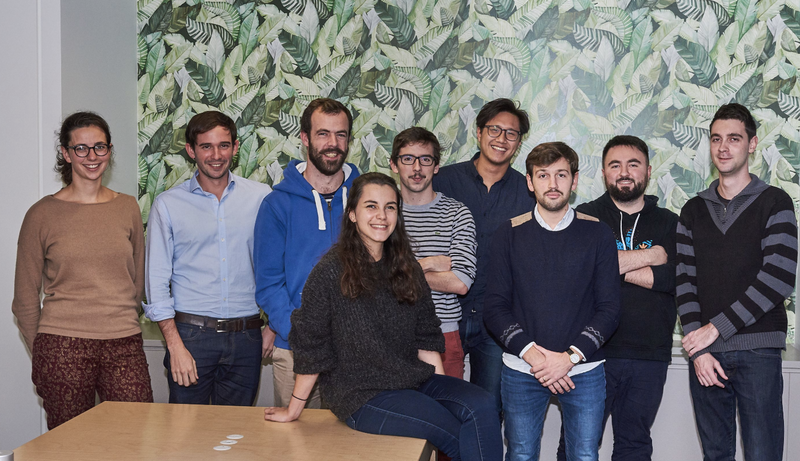 Having a leader (Florian Fournier, co-founder and CPO of PayFit) with such a clear and strong vision of the product, really makes you want to do things right and always go further. It’s nice to know that you’re working with someone who’s motivating, someone you trust… Personally, I could go to war with him! I’m going in with my eyes closed! What do you think are the qualities of a good Product Builder ? FX : Being curious. I think it is important to always have this desire for discovery. When we arrive, we are asked to learn a lot of things, we necessarily venture outside our comfort zone: we must have the desire to go into the unknown. Nam : I also think that a certain rigour is required to be a good Product Builder/JetLang Master. We work with a technical language that requires good reasoning and high focus. Did you have any fears or apprehensions about your position ? FX : I didn’t know anything about payroll when I arrived at PayFit but I was delighted to be able to learn how all these complex legal mechanisms work. The deeper you dig, the more you realise the complexity of the industry. The position was exactly what I was looking for, namely a product position that requires both technical skills and the development of business skills: you don’t need to know how to code to become a Product Builder but after a few months, you are able to develop features in JetLang, and have a real impact on the product. In the end, all this is valued super well because we acquire quite a few different skills. For example, interactions with different teams and all the tasks to be managed at the same time are similar to project management. We also learn to design functionalities, while remaining in a customer-centric perspective since we always keep in mind the idea of a super fluid customer experience. Nam : No, I wasn’t really apprehensive, because you can only learn. The fact that the JetLang Master position only exists at PayFit is precisely an opportunity: we learn to master a technology that evolves with us. Beyond the fact that it is super rewarding, it underlines a real desire to learn, a strength of character and a certain requirement towards oneself. How is the launch of PayFit going in a new country on the JetLang side? FX : As soon as we decide to launch into a new country, the first to join us are the Product Builders. They spend between 6 and 9 months in France building the product from France. Since JetLang is a language used by all Product Builders in different countries, learning JetLang is the same regardless of the product they work on. On the acquisition of payroll skills, even if the mechanisms are sometimes largely similar, local teams should adapt their knowledge according to the mechanisms actually in place. New teams must therefore be trained to have this “over-layer” of payroll knowledge specific to the country in which they are located. Very quickly, they must find payroll experts specialised in the labour & tax rules of the country from which they come to work with them on the reliability of the product. Nam : The first Product Builders recruited at the time of launch in a new country have a much more strategic role: all the decisions they take have an immense impact, they are the “masters of the application”. As a JetLang France, you join an existing team, with processes and a roadmap to follow. When launching PayFit in a new country, it is up to newcomers to prioritise the features to be released, look for future Payroll Experts, etc. We must nevertheless put this into perspective: even if there are a large number of decisions to be made, we never start from scratch: we all have common guidelines to keep a certain consistency on the product, which is reassuring for newcomers. What advice would you give to a future JetLang Master ? FX : To “sponge off” as much as possible, especially during the first few weeks of training. As long as we don’t have real operational responsibilities, we might as well try to absorb as much information as possible. I would also advise you to try to organise yourself well, to think about prioritising your tasks: since you are working on many things in parallel, it is important not to forget to finish what you may have started and leave it in standby in order to tackle a task to be done in emergency. Nam : Put yourself in the customer’s shoes at all times. It’s simple, to do your job well and make the customer happy, you have to be able to identify to them. You have to be demanding about what you build, but also have a logical analysis of the situation so that you can be proactive and try to anticipate the actions to be taken. The Product Builder job at PayFit in three words ? FX : A “product” position because all our work has a real and direct impact on PayFit, “singular” because it is a job that only exists at PayFit, and “versatile” because we touch on many things that have nothing in common. Nam : “Ambition” in the sense that we are motivated to build together an incredible experience for each of our customers, “caring” because we love our customers, they really make us grow. We think that if someone complains because something didn’t seem obvious to him, it’s also our fault because we failed a little bit in our mission to simplify payroll management and deliver that “wow” experience that makes payroll fun. And the third word would be “symbiosis” because I think we are all driven by the same dynamic, we are really united by an ultra strong common vision of what our mission is and it is super unifying. At PayFit, we are developing a SaaS tool for payroll and human resources management. If you want to join the adventure as a Product Builder, apply here.